Earlier in the year we ran a number of blogs in which we delved into the depths of the UK second hand car sales to bring you a list of the 10 hot hatch bargains and Seven Grand Supercars, a rundown of the finest exotica available for less than the price of a top spec Dacia! These blogs went down well, so well that we’ve opted to do another, this time focussed on the greatest performance bargains currently on offer. Now, we realise that terms like performance and bargain are all relative, hence why we’ve tried to include vehicles which could universally be considered to provide exemplary ‘bang for your buck’ potential – hence the lack of Ferraris! We’ve also given ourselves a self-imposed upper limit of £7000; not small change by anyone’s standards, true, but a fairly realistic, real world sum. Click the header to be taken to the car in question. We’ve also taken the time to provide links to the Wolfrace wheels which we consider go best with the car in question, though of course we’re happy to be told otherwise if you think differently. 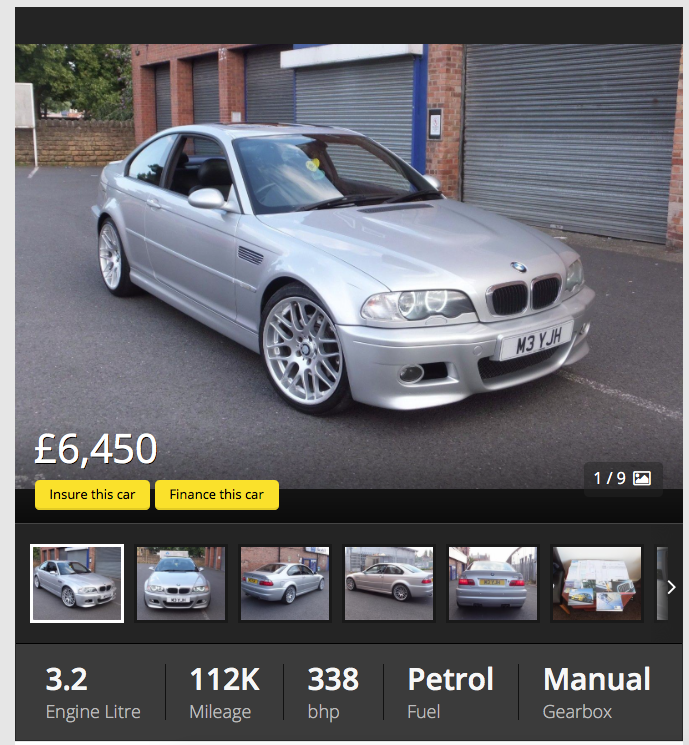 The last of the straight six M3s can be yours for less than 7K! The finest M-Car of the modern age, a car which manages to hold its own with the modern performance elite, and one which is guaranteed to go down as a German icon. 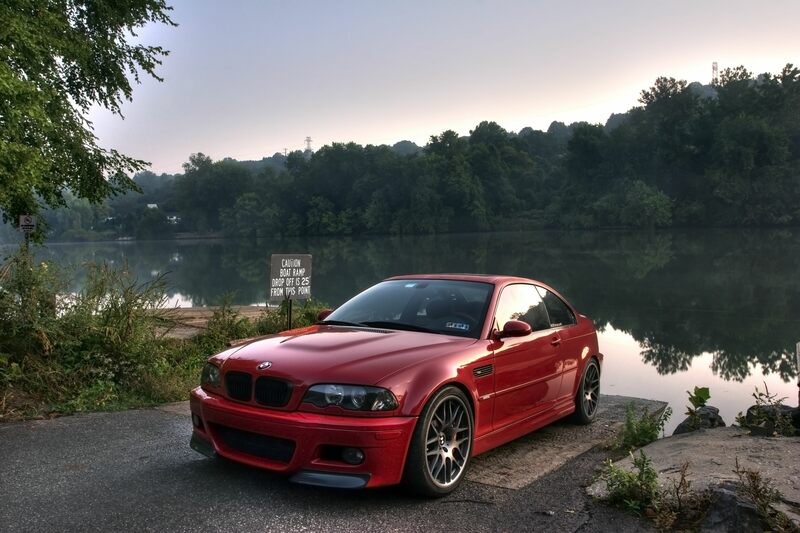 The E46 M3 is also the last of BMW’s 3-series M-Cars made in the traditional, naturally aspirated straight-six mode, and comes with one of the finest automotive chassis Munich could muster in its late ‘90s prime. 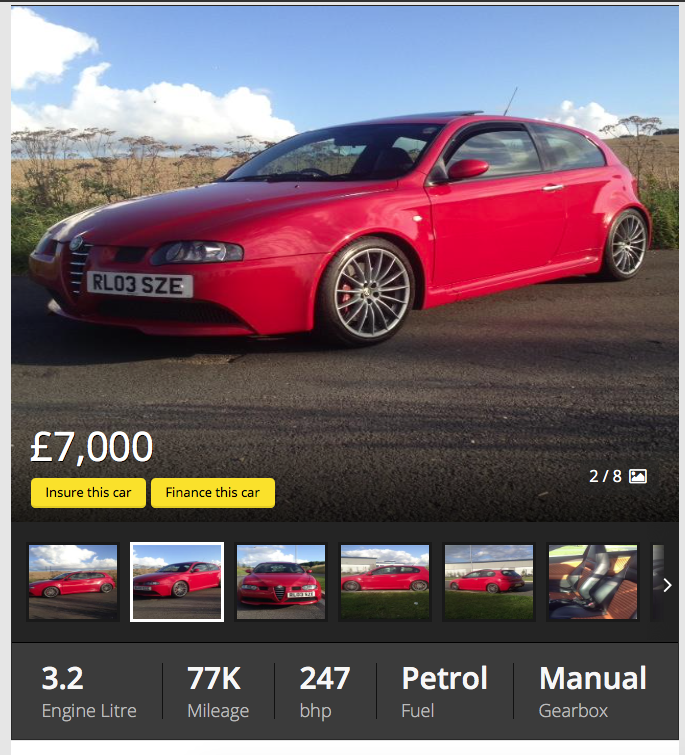 £7000 gets you a number of early, 100k + cars to pick from, so choose wisely and buy intelligently. Get it right and you’ll be laughing all the way to the bank! Wheel wise, we’d be tempted to go for the Munich, an offering from the Eurosport line designed for BMWs. Proving that the start of the last decade really was a prime period for real world performance cars, we’ve opted to include the Honda S2000 as the next car on our list, with a smattering of examples coming in under our self-imposed budget. Perhaps the best example of Honda’s classic, high-revving, naturally aspirated technology, the S2000 won praise from all sectors of the automotive press at launch, with many commenting that it was the ideal home for the firm’s mighty VTEC lump. 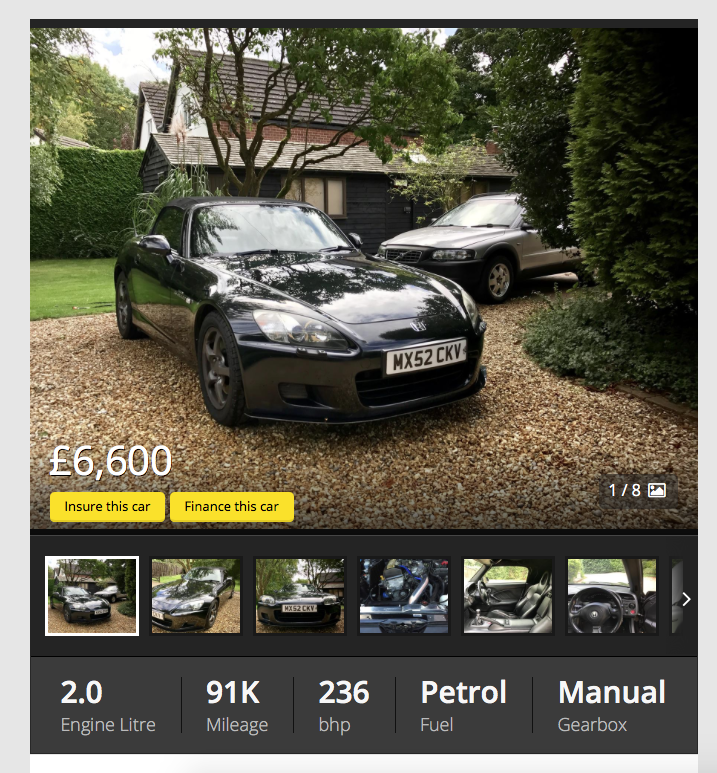 Much like the Beemer mentioned above, the S2000 has done all the depreciating it’s likely to do, meaning you should grab a performance icon by buying now. Wheel wise, it’s the turn of the Eurosport JDM, an alloy well suited to any Japanese car you care to name. A cool £7000 gets you any number of GTIs from the Mk6 back, but for a Golf to be included in this alongside some seriously exalted company, it has to have more than 4 cylinders and double the traction of its base model brethren, hence the R32. 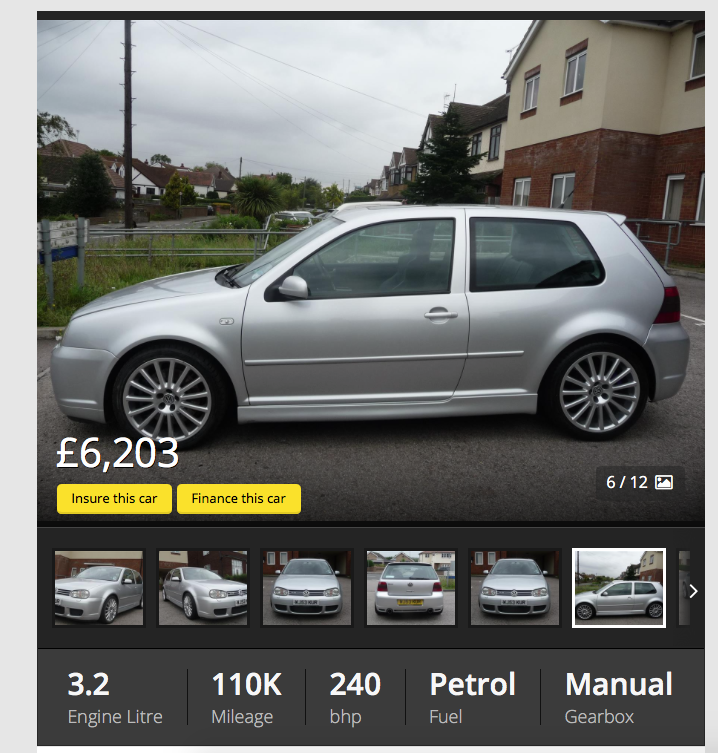 Our budget allows you to pick from the original, Mk4 R32 or its more polished Mk5 successor. Both variants have their charms and drawbacks, with the former being as raucous proposition and the one most likely to shoot up in the value, while the latter is undoubtedly the better realised package overall. Us? Well we’ve gone for the Mk4 thanks to its looks, its punch and the significant place it occupies in the pantheon of brutal Golfs. As to the wheels, we’d be tempted to go for a set of Noranos from the Wolfrace GB range. We’d better get one thing straight right from the off, the E55 generation of E-Class is not without its faults, with many early owners finding themselves dealing with a litany of electrical gremlins, component failures and, worse of all for an executive Benz, rust! It’s most definitely a car that you should buy with care then, but it’s also a model range which contained one of the mightiest E-Classes of them all, the E55 AMG! 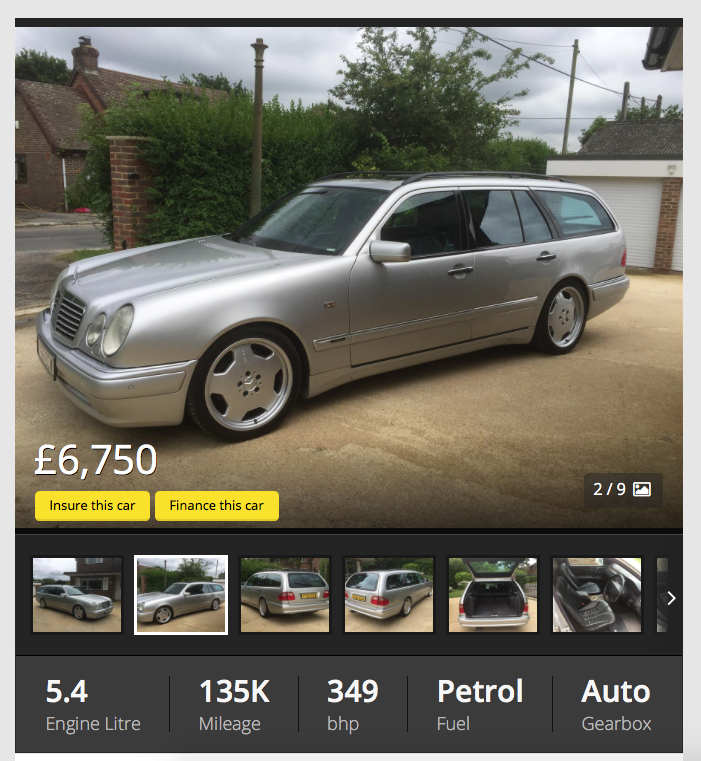 The E55 AMG shown here is an estate variant making it all the rarer and all the more practical, so ideal if you fancy transporting a massive load of stuff at an ungodly rate of knots! How fast? A cool 349bhp – impressive enough now, straight up biblical in 1999. 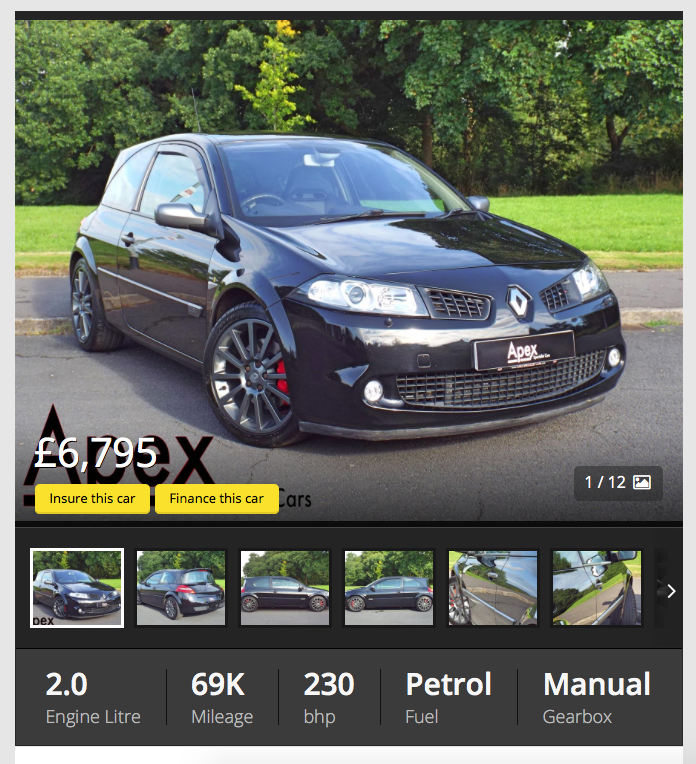 We can’t think of many better ways of blowing a full £7000 than a big, wafty Jaaaaag! That being said, we’ve not completely taken leave of our senses and have therefore plumped for a car comfortably under budget, giving you plenty left over to fuel and (maybe) fix the thing when it refuses to start. 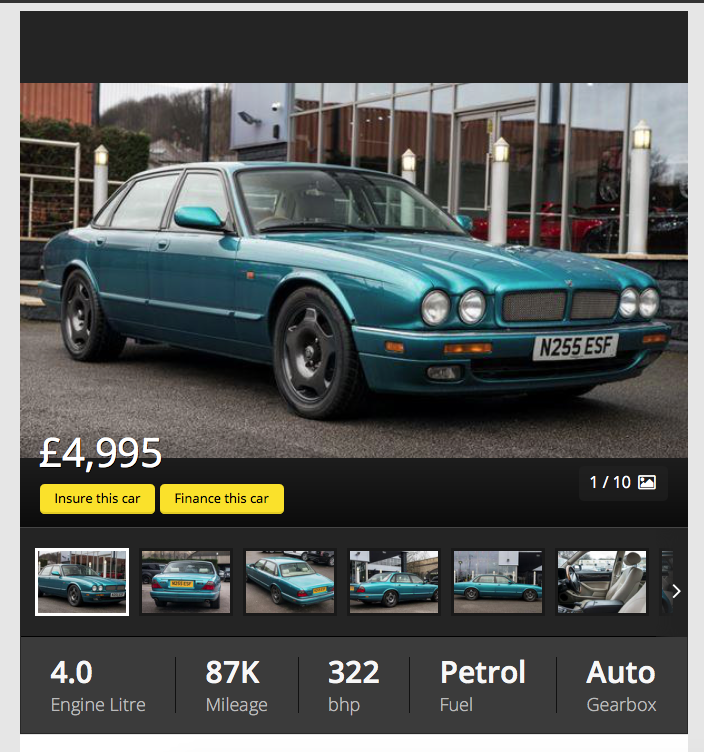 The car in question is an XJR from 1995, a model which remained in production for years with few changes and which exhibits all the classic ‘big Jag’ traits of space, pace and grace. 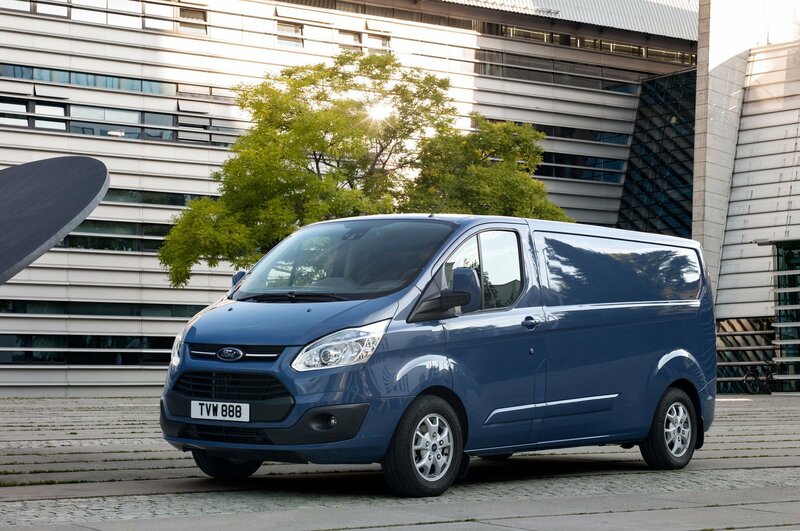 The pace element comes from its supercharged 4.0 V8, an engine you’ll never tire of wringing the most from, though one you’ll need a healthy fuel budget to keep suitably well fed! 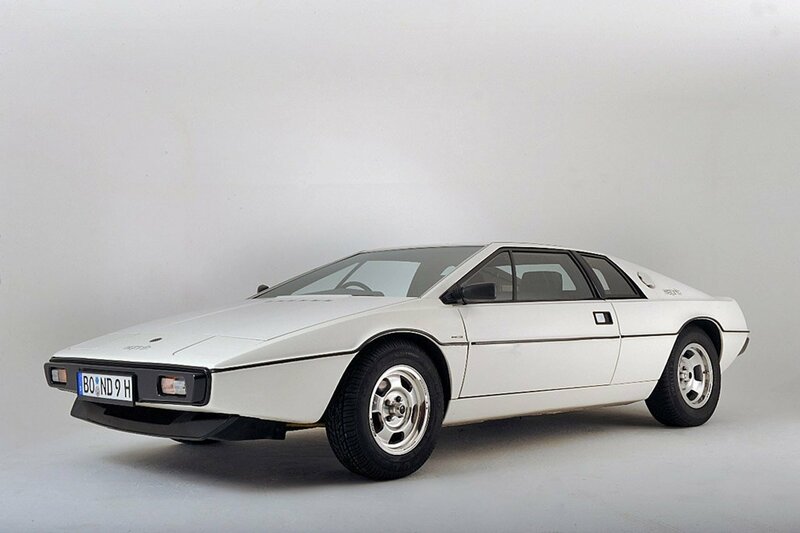 Big, barge-spec Jags look stunning on classically styled wheels, so we’d plump for the appropriately named Classic. The fact that RS-badged Fords are so highly prized in the UK means that £7000 won’t get you anything with a Rallye Sport badge (certainly anything worth buying), but it will get you access to any number of Focus STs, a car powered by the same Volvo-sourced 5-pot as the Mk2 RS. The Mk2 ST is currently something of a performance bargain; not only can tattier examples be had for under £5000, they’re highly tuneable cars capable of making genuinely impressive power figures. They also sound marvellous thanks to the extra cylinder, can be used on a daily basis, and will probably climb in value in the years to come. In terms of the wheels on offer, we’d be tempted to play it simple with the Pro-Lite, an alloy we’ve seen bolted to STs plenty of times in the past. Mercedes E55 mentioned above a bit too risky? 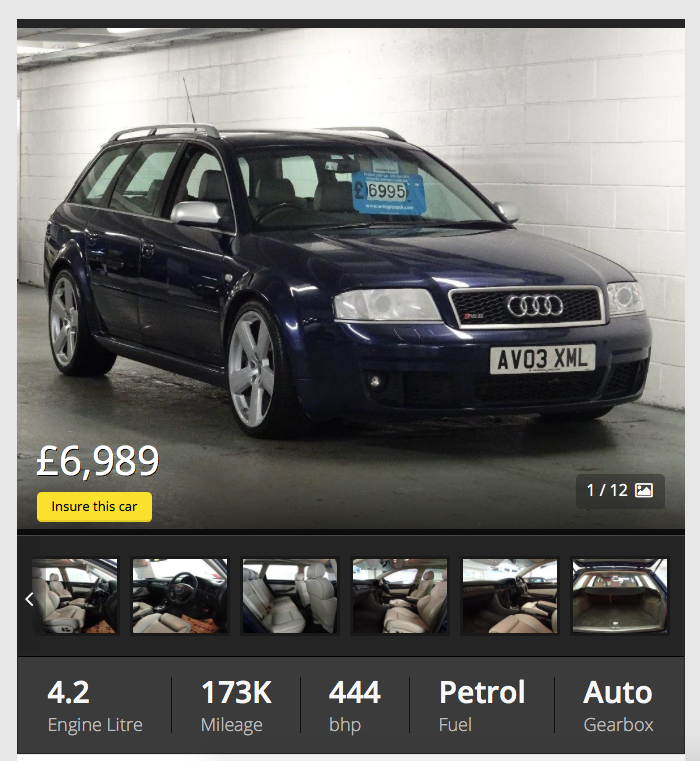 Well then we might have found the very car for you, a C5-shape Audi RS6, complete with a thumping, 440bhp from its twin-turbo 4.2 V8! Make no mistake, this a pokey car by anyone’s standards, one which will have no bother about besting pretty much anything this side of a Porsche 911, but it’s nothing if not understated. It’s therefore the ideal for those that like to keep their sports car dusting potential on the sly, something which we think makes it all the cooler. 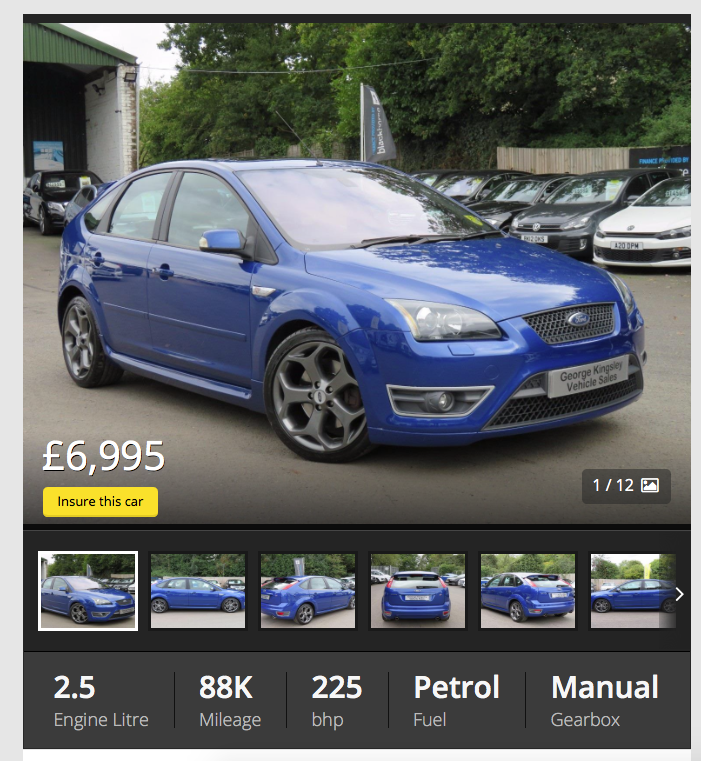 This is the option for those of you that consider the Golf R32 too staid and the Focus ST a little…uncouth. It might have been swiftly swamped by the rising tide of smaller capacity, turbocharged hot hatches which followed, but for a few short years the Alfa 147 GTA was among the mightiest of them all. Much of the baby Alfa’s performance potential came from its wonderfully old school power plant, a thumping great 3.2 V6 slung across the front wheels, good for a none-too-shabby 248bhp. Of course the downside of such an arrangement was serious torque-steer and a tendency to under-steer, but there’s no denying that it’s a charismatic engine in an equally charismatic car, though we’d still recommend saving for an LSD. It’s a car which could do with all the help going in the chassis department, so we’d recommend the ATS Streetrallye, one of the lightest wheels on the market. We felt it only right that a Gallic hot hatch made of wafer thin steel and held together by little more than hope in this list, and they don’t come much better than the Mk2 Renault Megane R26. Our budget gets a whole lot of choice and includes almost every special edition R26 going (excluding the ultra-rare, almost comically lightweight R26.R), which is why we’ve settled on a later, F1 Edition with the optional Lux pack. The former means that it was one of a number of cars built to celebrate Renault’s F1 success (though we’re willing to be that you’d already guessed that much), while the first owner’s decision to plump for the Lux pack means you get leather Recaro bucket seats, parking sensors and keyless entry. Buy one, drive it well, and you’ll take all comers on any twisty track you care to name. While the lightweight Pro-Lite can indeed be fitted to the equally lightweight Megane, we’d be tempted by a left field choice, the Alutec Singa. 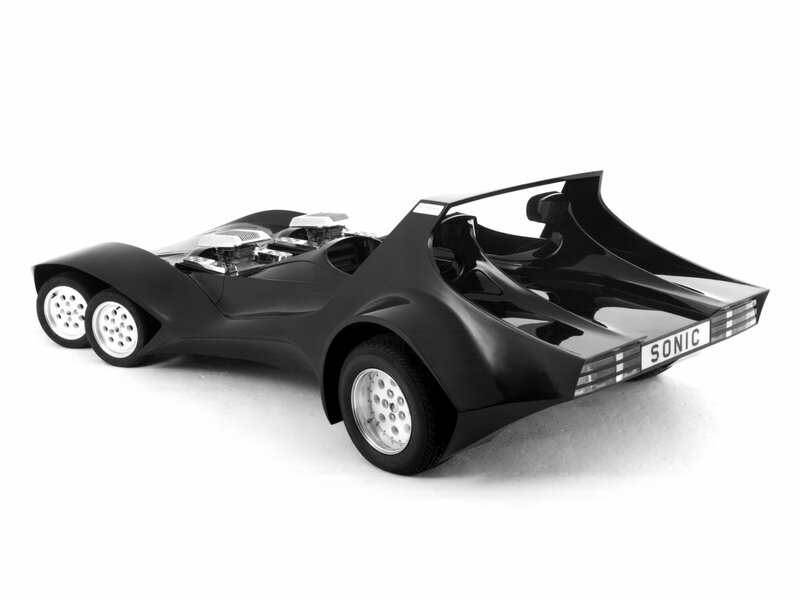 It’s customary to finish these lists with something of a left field choice, an option for those not afraid of ploughing their own furrow…which is why we’ve opted to include a low-budget Lotus! We’re not going to pretend that the prospect of spending such a paltry sum on Norfolk’s finest cultural export (sorry Bernard Matthew and Colemans, Colin Chapman’s creation takes the crown) doesn’t fill us with a degree trepidation, but this particular car, Excel SE from 1985, does look to have been well looked after. 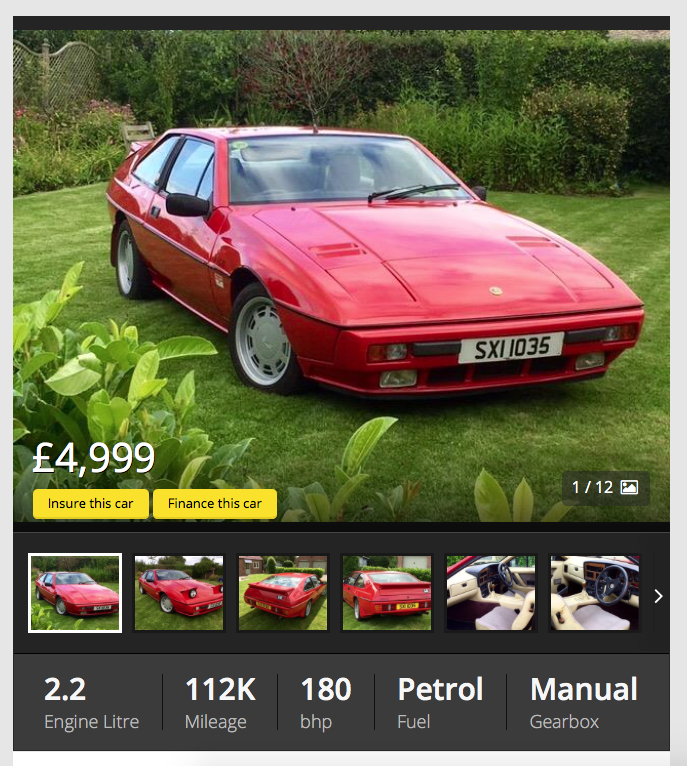 Indeed, the seller claims to have used the Excel as a daily driver in all conditions, marking him out as perhaps the bravest man in Britain. There’s actually one one wheel which will fit the Excel ‘right out of the box,’ and that’s the highly suitable Pro-Lite – we’re sure Mr Chapman would approve!